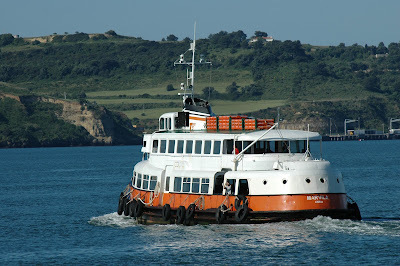 Portuguese harbour ferry MARVILA a true Tagus Jewel, seen here alongside Cacilhas in the south bank of the river in April 2007. Aproveitem enquanto este barco navega, pois nesta terra nada parece durar para sempre, mesmo que seja uma preciosidade patrimonial como o MARVILA ou o MOURARIA... Uma viagem cruzeiro de Belém até Trafaria via Porto Brandão é uma pequena aventura de Tejo e quase Mar. 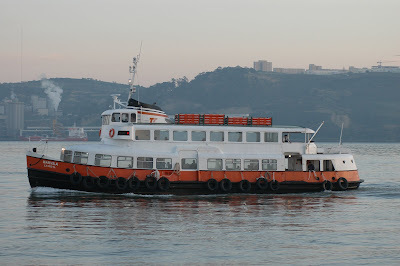 Bonito, bom e muito barato. 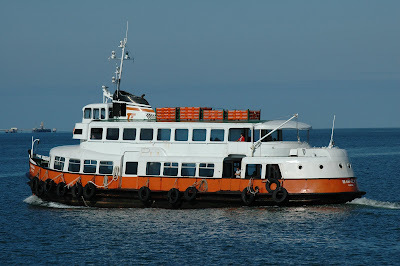 Fotografias do TRAFARIA PRAIA de 29 de Janeiro de 2011. 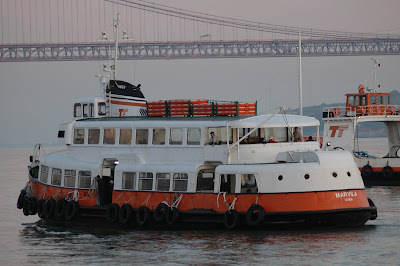 QUEEN ELIZABETH 2 crossing the river Tagus bar inbound for Lisbon on 13 November 2008 on her final cruise and he TRANSTEJO veteran MARVILA on her regular trip from Porto Brandão to Trafaria along the river's south bank. 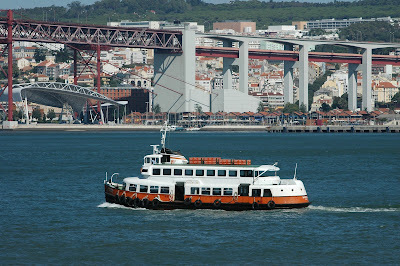 The classic Lisbon ferry MARVILA photographed yesterday 13 August 2009 underway on another crossing of the rive Tagus between Belém and Trafaria via Porto Brandão. 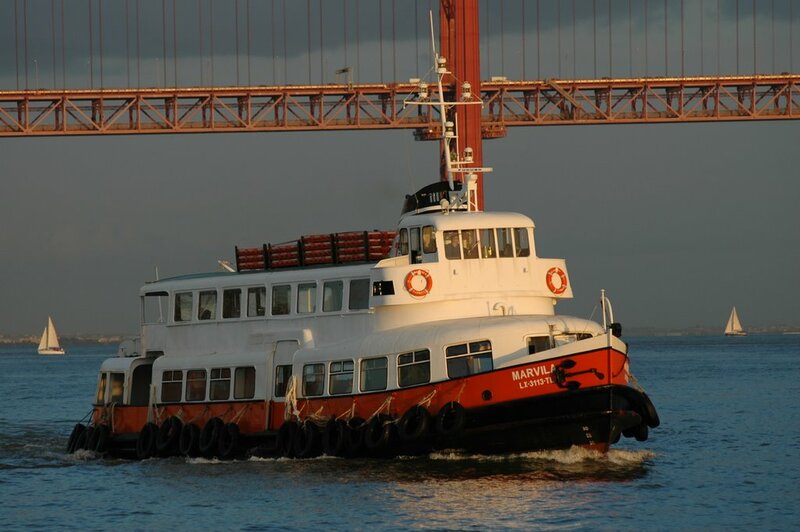 Built in 1956 for HADAG as the VOLKSDORF and renamed MARVILA in 1977 the old girl keeps a special beauty and looks like a classic Volkswagen of the 1950s... Long may she sail. 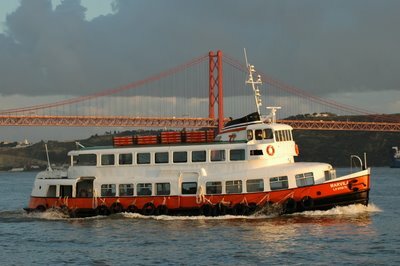 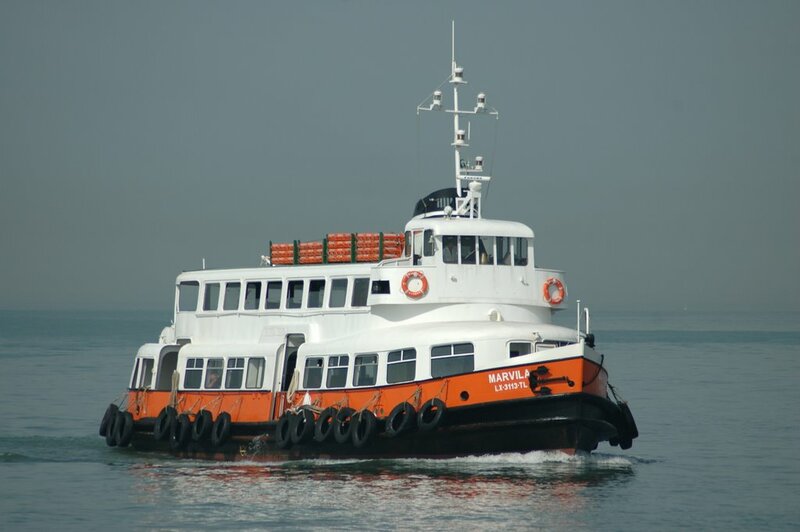 The classic passenger ferry MARVILA photographed underway on the river Tagus on 7 May 2009, while doing her usual voyages between Belém, Porto Brandão and Trafaria. MARVILA is the older of the former HADAG ex-German ferries still in service in Lisbon. 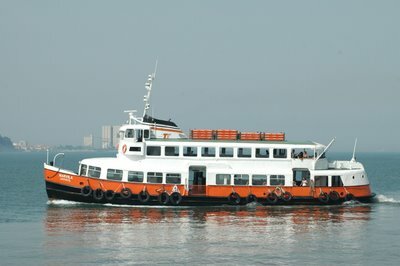 Built in 1956 as VOLKSDORF and purchased in 1977 by Transtejo. 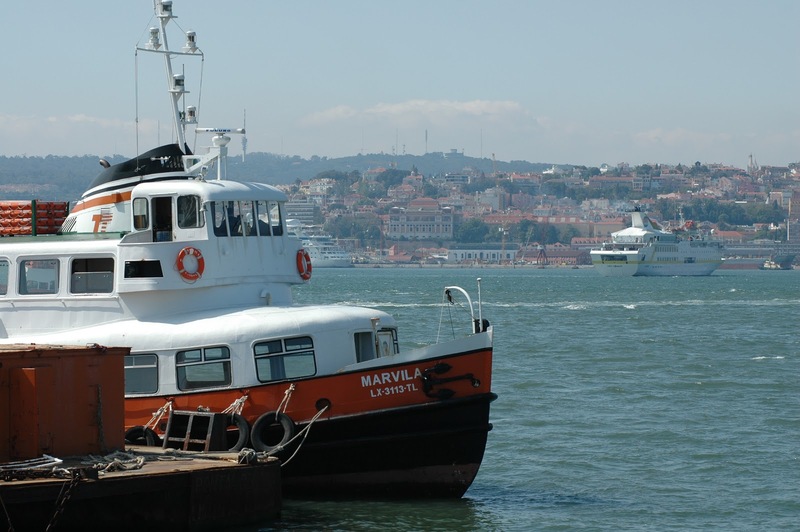 MARVILA and MOURARIA on their way to Porto Brandão and Trafaria. 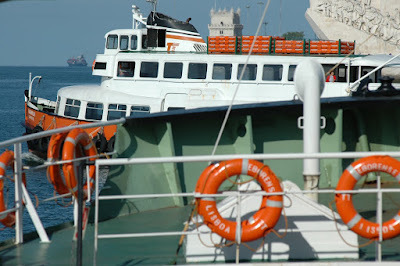 Both ex-German ladies were active today on the Belém - Trafaria service. 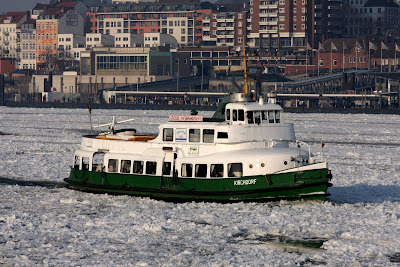 The German ferry KIRCHDORF cruising on the river Elbe in Hamburg. 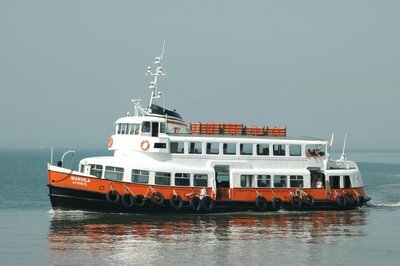 Photograph takenand kindly sent by Kai Rönnau. 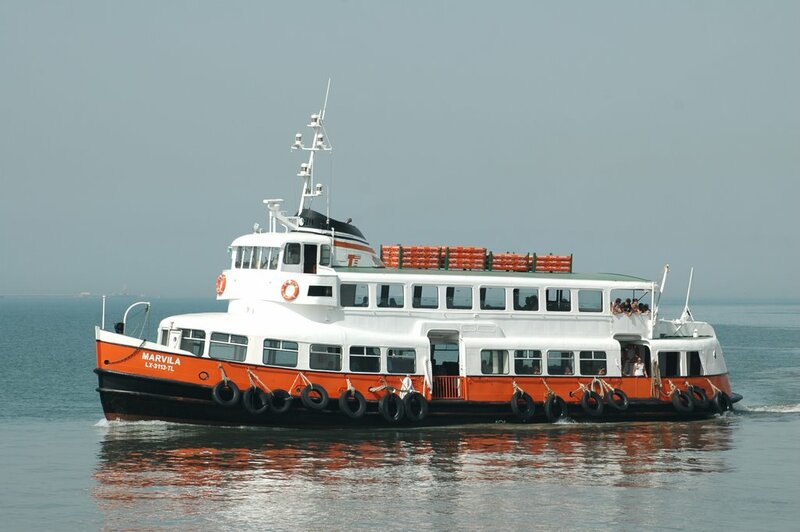 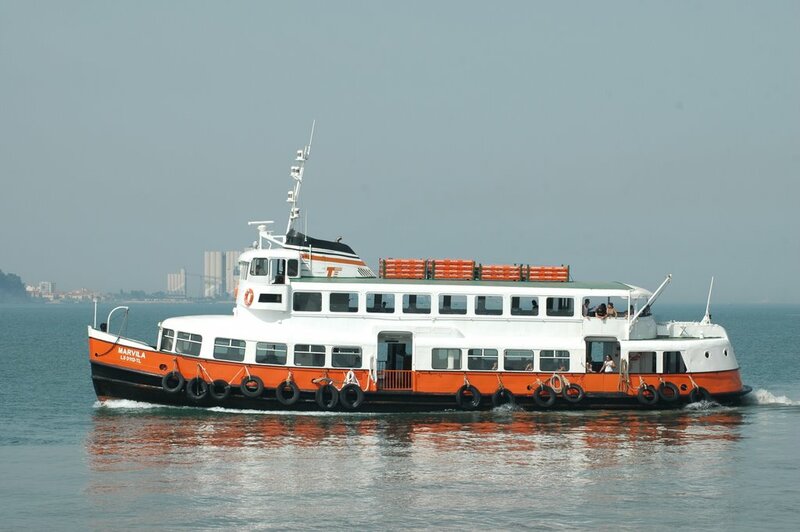 KIRCHDORF is the last surviving classic ferry in the HADAG fleet. 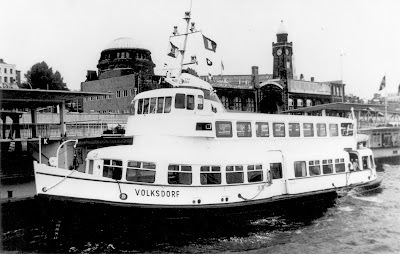 The beautiful passenger ship VOLKSDORF photographed in Hamburg. Built in 1956 for HADAG of Hamburg, the VOLKSDORF was one of five German ferries sold by HADAG to TRANSTEJO in 1977, when she became the MARVILA. Photograph copyright Jan Mordhorst, kindly sent by Cai Ronnau. 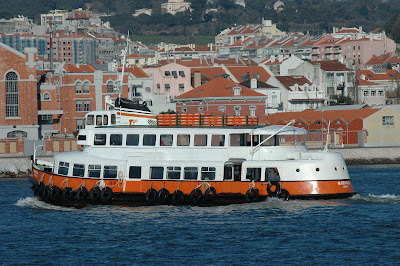 The Portuguese passenger ferry MARVILA crossing the river Tagus from Belém to Porto Brandão on 2008-04-02. 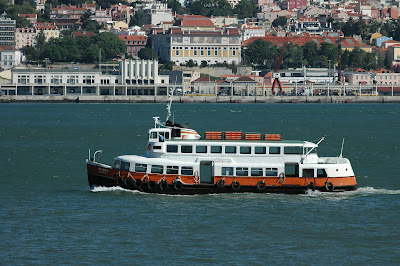 She is the veteren of the group of former HADAG ships still active in Lisbon and one of the most attractive. 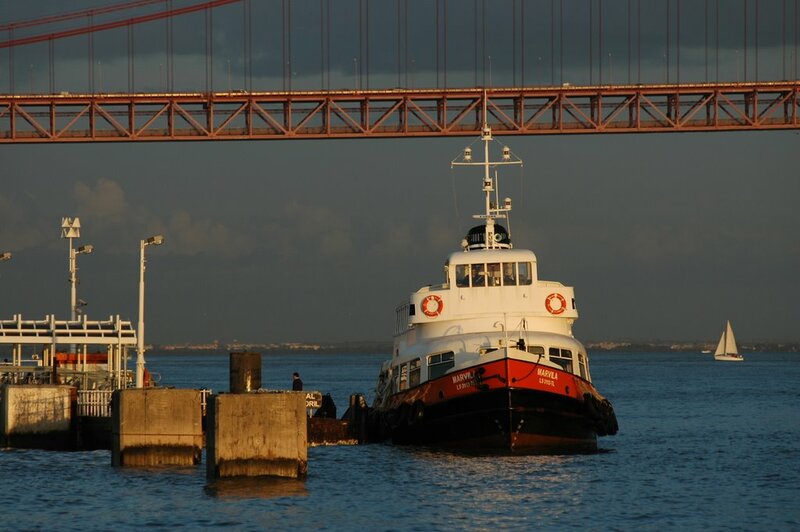 The elegant classic MARVILA photographed alongside her pier at Belém, in the North bank of the river Tagus, 29 April 2007. 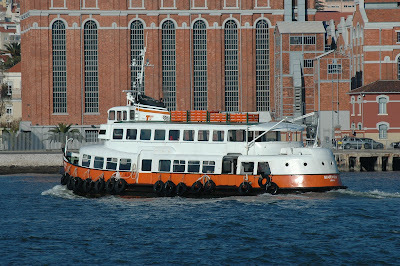 She was built in Hamburg in 1956 as the VOLKSDORF for HADAG and purchased in 1977 by current owner TRANSTEJO. Sempre bonito o MARVILA, aqui a largar de Belém para a Margem Sul a 29 de Abril de 2007. Always attractive the ferry MARVILA pictured on 29 April 2007 leaving Belém on another crossing to the South Bank of the river Tagus. O mais antigo dos quatro cacilheiros ex-alemães ainda em actividade no Tejo, o MARVILA faz habitualmente a carreira Belém - Trafaria, via Porto Brandão. Fotografado a 19 de Agosto de 2007, quando seguia em posicionamento de Cacilhas para a Trafaria, vazio. 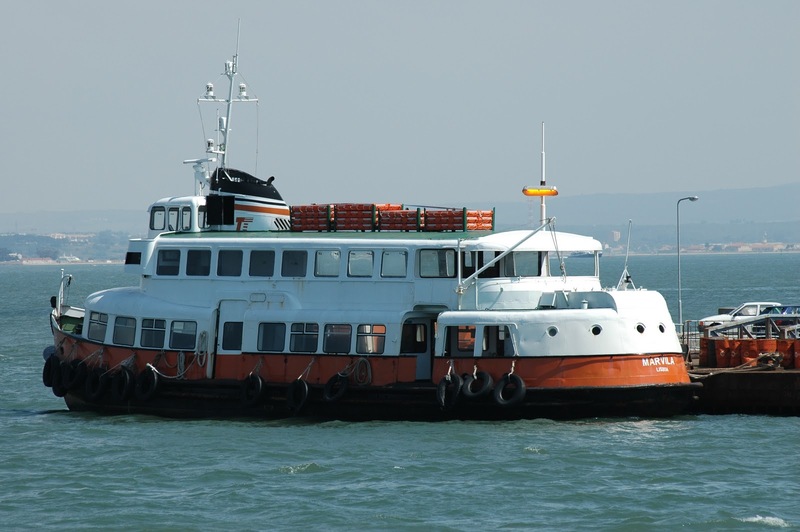 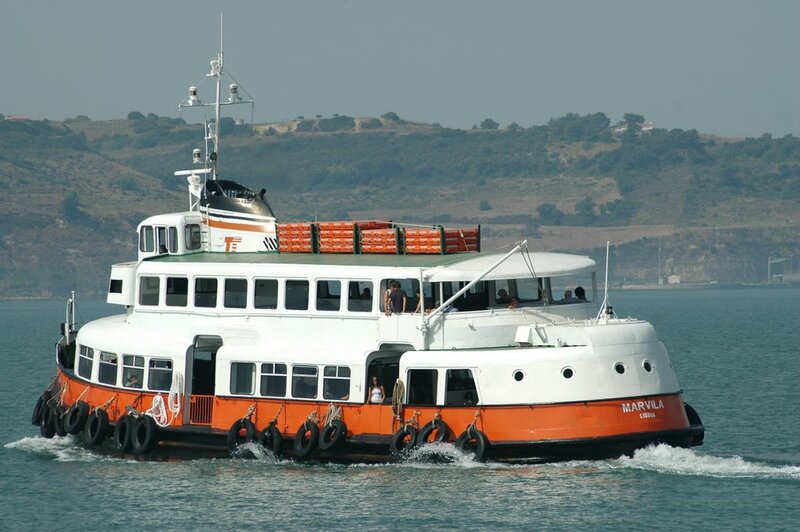 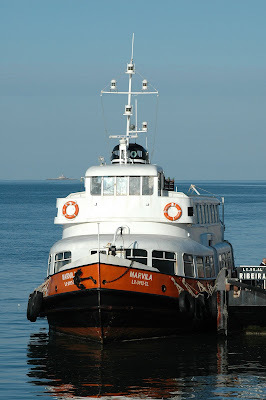 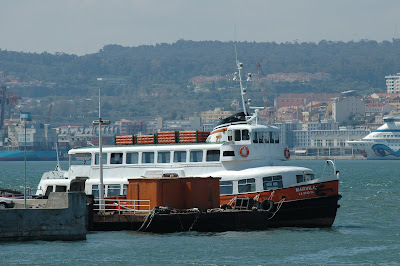 The oldest of the four ex-german Tagus ferries still in service in Lisbon, the MARVILA operates on the Belém - Trafaria route, calling also at Porto Brandão. 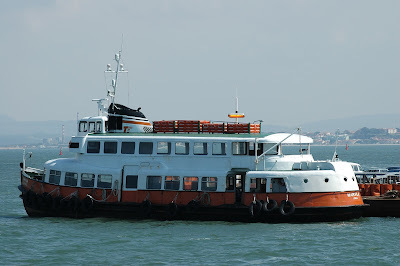 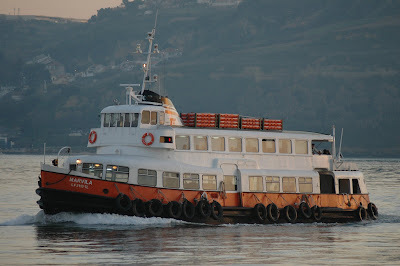 Photos taken on 19 August 2007, while on a positioning voyage from Cacilhas to Trafaria, without passengers. 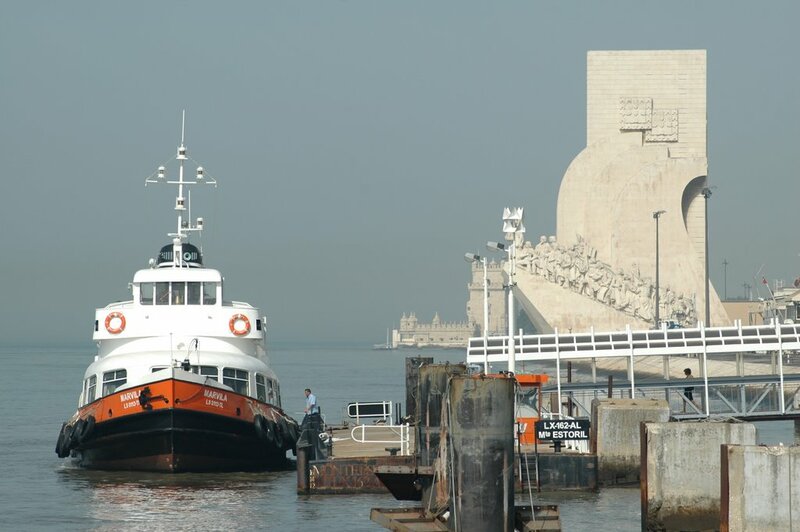 Duas fotografias do MARVILA a atravessar o Tejo, do Porto Brandão para Belém, com o casario de Lisboa e a Central Tejo, actual Museu da Electricidade, em pano de fundo. 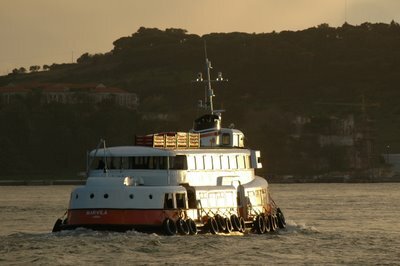 Fotografias de 22.Dezembro.2006 feitas por Luís Miguel Correia.